'Raven’, the first single of John Dahlbäck’s forthcoming ‘Saga’ album, recently surpassed the two million streams mark on Spotify. In addition, John’s second album single ‘Atlantis’ has just been released. 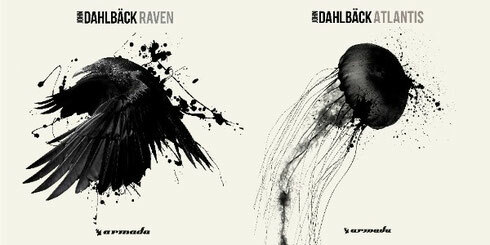 ‘Raven’ saw its release through record label Armada Music on 31 July, reeling in support of a broad range of electronic music artists, including the likes of Avicii, Dimitri Vegas & Like Mike, Nicky Romero, Thomas Gold and Sick Individuals. The single received worldwide exposure through live plays and radio show features, reeling in large amounts of streams in its exclusive three-day window of availability on streaming service Spotify. The accolade for ‘Raven’ is preceded by a ten-year-long career filled with singles releases and a recent streak of live performances. In the past few months, John’s played alongside Avicii and Armin van Buuren in the Ushuaïa Beach Hotel on Ibiza, next to gigs in venues all over the world, ranging from Space Ibiza in New York to one of the main stages at Creamfields UK 2015.